During Salone Internazionale del Mobile, Henzel Studio currently launches the highly anticipated Henzel Studio Collaborations, an exclusive and ongoing initiative of art rugs designed in collaboration with leading contemporary artists. Henzel Studio Collaborations Volume #1 is an unprecedented collection of art rugs featuring designs by leading contemporary artists assume vivid astro focus, Scott Campbell, Leo Gabin, Robert Knoke, Helmut Lang, Linder, Marilyn Minter, Jack Pierson, Richard Prince, Anselm Reyle, Jurgen Teller and Mickalene Thomas. The artists are all groundbreaking and leading forces within their respective fields and media, ranging from sculpture, drawing, collage, photography, installations, reliefs and video art. Their mark has not only been honored and highlighted at leading galleries and institutions worldwide, but also widely documented and anifested as a mirror of cultural movements. The display at Temporary Museum for New Design features a select edit of two designs from Henzel Studio Collaborations Volume #1. 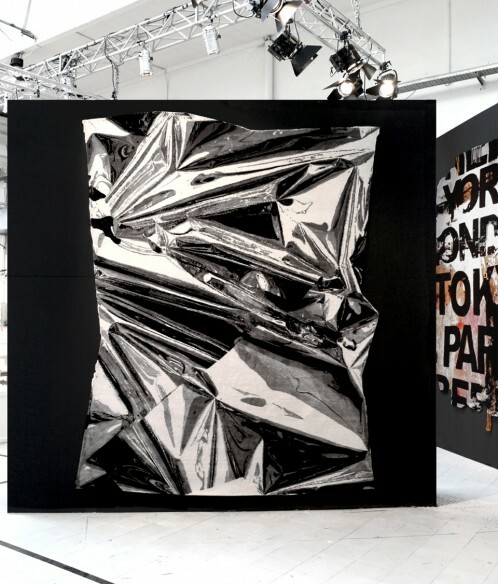 One is by artists Helmut Lang and Anselm Reyle. Lang’s piece is based on a sculpture, which has been translated into a free-form shape with a highly intricate, multi-level and contrasting sculptural surface. Reyle based his design on a piece from his signature foil series, utilizing free-form techniques and variable material compositions to mirror the original work’s attributes. 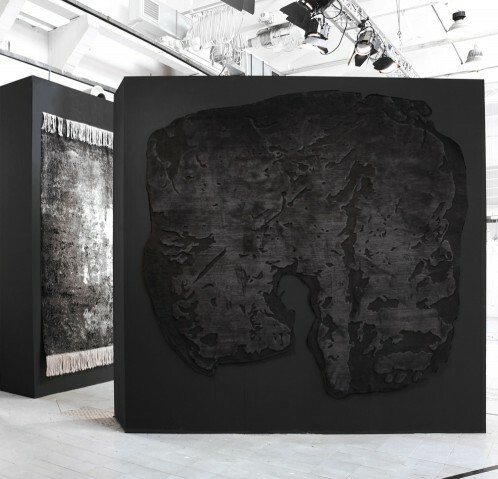 Henzel Studio Collaborations is made and curated by Joakim Andreasson – the founder of art agency cultureEDIT.